Italian Villa in style, this cream brick house was built in 1868 for George and Roxilana Bull. 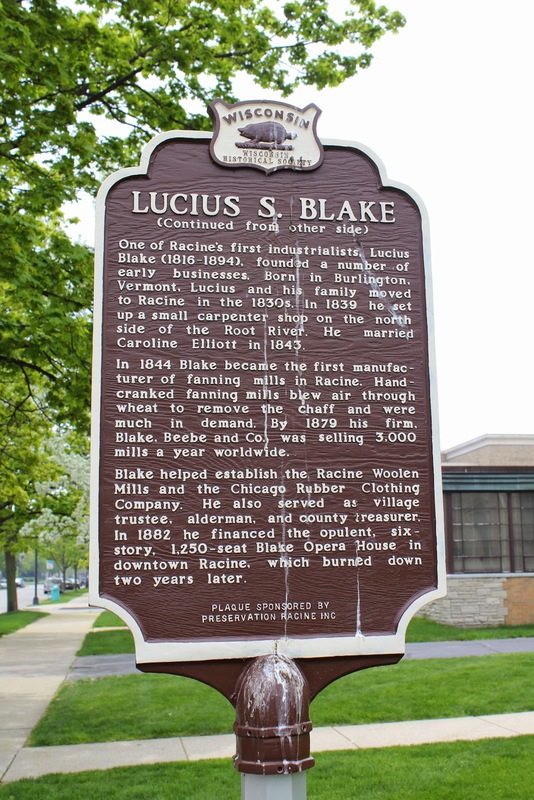 Lucius and Caroline Blake purchased the house in 1873 and it remained in the family until 1926. Most remarkable is the centrally located Tuscan tower. Other Italianate features include round arched windows accented with corbelled brick hoods, paired wooden brackets, and side bays. Interior features include marble fireplaces, ornamental plaster rosettes and crown moldings, parquet flooring, pocket doors and shutters, and decorative woodwork. 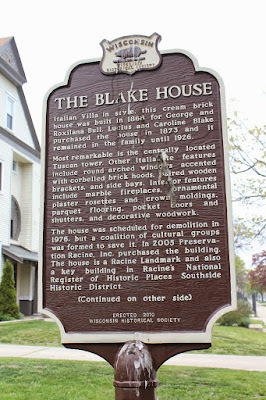 The house was scheduled for demolition in 1976, but a coalition of cultural groups was formed to save it. In 2005 Preservation Racine, Inc. purchased the building. 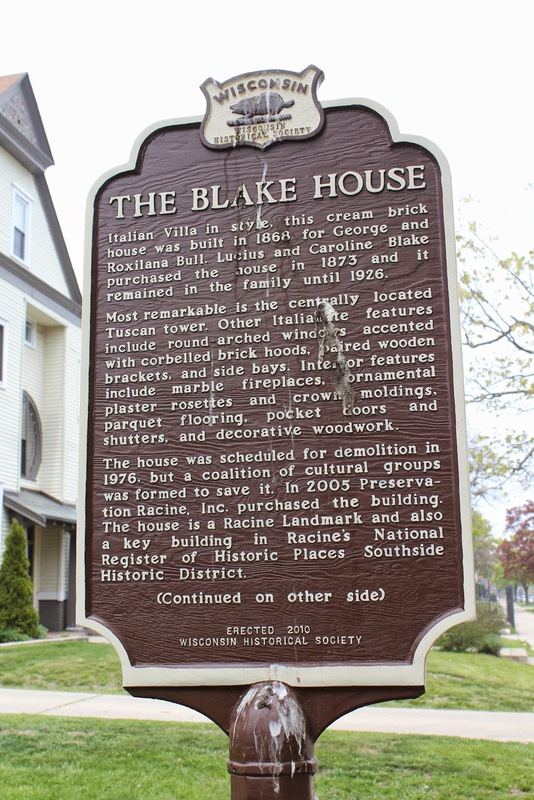 The house is a Racine Landmark and also a key building in Racine’s National Register of Historic Places Southside Historic District. NOTE: This is a two-sided marker. See also, Lucius S. Blake.